This is a 1976 ad for a Ka-Bar Stockman's Knife! The size of the ad is approximately 5.5x5.5inches. The caption for this ad is 'We're proud to be a hand-me down' The ad is in great condition. This vintage ad would look great framed and displayed! Add it to your collection today! 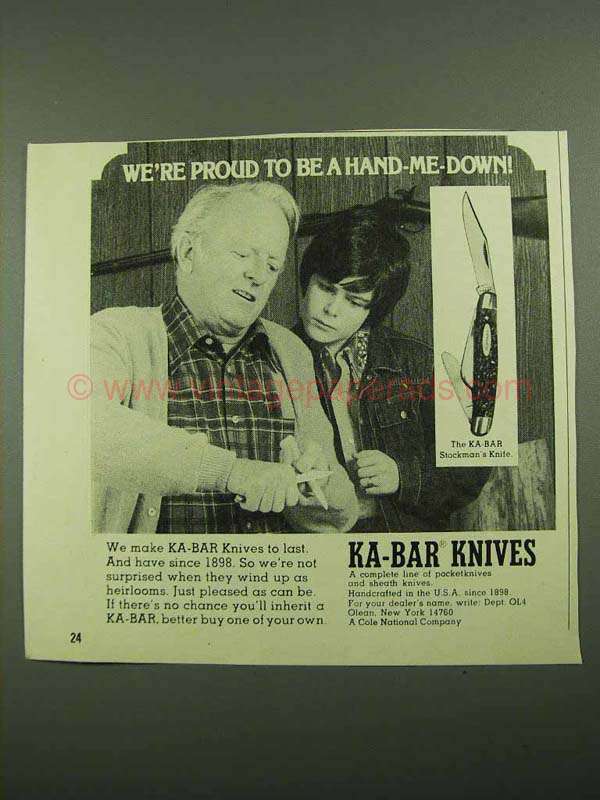 1970 Kabar Knives Ad - Guaranteed till 2000 A.D.